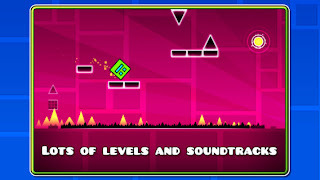 Developer Quote: "Prepare for a near impossible challenge in the world of Geometry Dash. 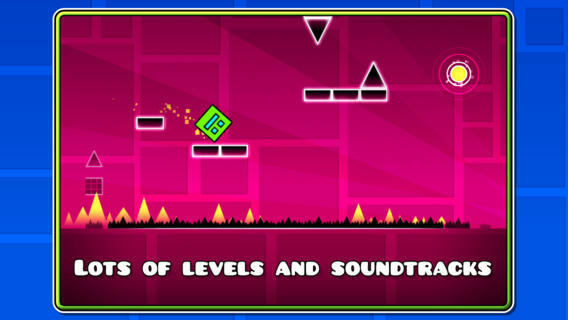 Push your skills to the limit as you jump, fly and flip your way through dangerous passages and spiky obstacles." • iPhone 5 widescreen support! It's not that easy to clear your way through levels though. 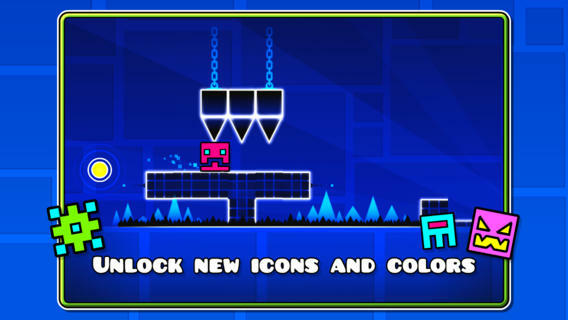 In this game, you will simply tap to jump, or tap plus hold to keep up the momentum. Yet timing is very important in how you perform these jumps. There are obstacles galore, but a great soundtrack to keep you reaching for the impossible! COOL CONCLUSION: Enjoy the brilliant graphics, complex gameplay and skill required to fly rockets and work against gravity in the daringly difficult Geometry Dash.